Potential Denver home buyers received some relief in July from the sizzling Denver real estate market. The number of homes for sale increased to the most since last year. 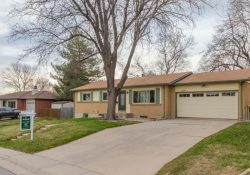 And, Denver home sales decreased. Multiple offers were less common. And, homes stayed on the market longer than usual. So, buyers enjoyed an easier market than earlier in the year. The Denver Association of Realtors Market Statistics Committee released this report for July 2018. 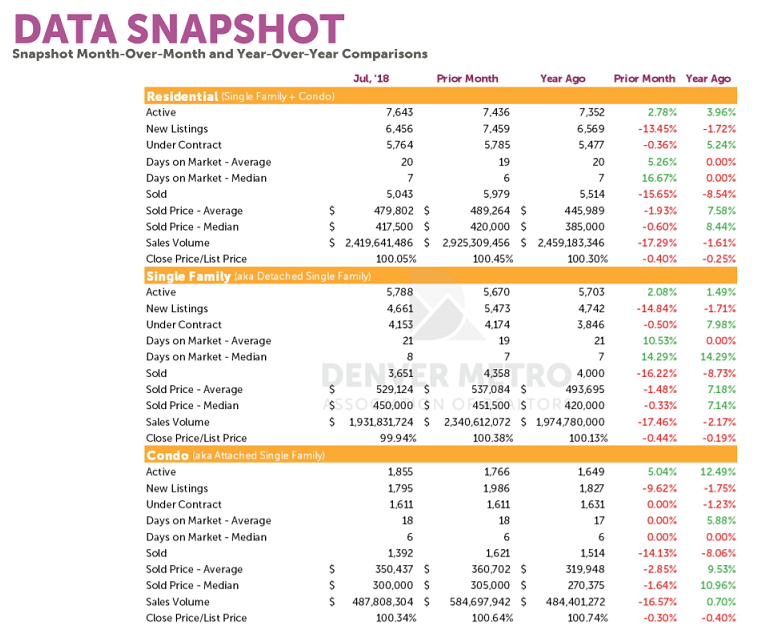 According to statistics collected by the Denver MLS (ReColorado) and released by the Denver Metro Association of Realtors, the average number of months of inventory increased to 1.6 months for the whole market. 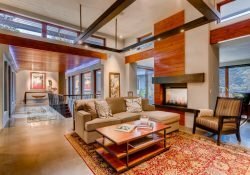 Luxury real estate priced over $1 million increased to over five months of inventory. All of that is great news for buyers trying to get a toe in the door of what has been a frantic market. Actual Denver home sales in July decreased by 3% from June and 9% from July 2017. 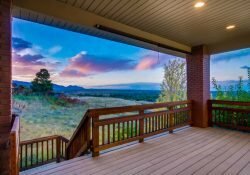 The brokers at All Denver Real Estate Blog report that they have been seeing fewer multiple offers on their listings and have been able to better negotiate prices for their buyers. Dotson Skaggs of my Kentwood Real Estate office in the Denver Tech Center noted that there is always a seasonal slowdown. “Last year, we did most of our business before the end July” Dotson said. 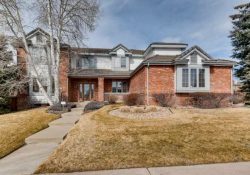 ” This year the slowdown came earlier and seems a little more significant.” Dotson works often in the Denver luxury real estate Market priced above $1m in Pradera, Castle Rock and Parker. So, his comments may reflect activity in those segments. 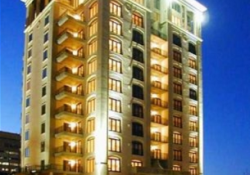 August Luxury Real Estate Market saw an even slower July. But, all market segments slowed in sales. And, months of inventory for luxury homes increased to over 5 months. The Denver Luxury Real Estate Market saw sales drop nearly 14% from June. Sales also dropped more in outlying exberbs compared to the City of Denver. Both expired listings and price reductions have surged recently. And, Tom Cryer who is also a Kentwood DTC Broker noted that there are more price decreases lately than he’s seen in years. 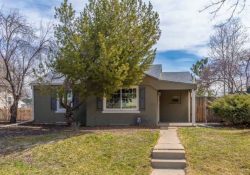 For example, he said that there have been more price reductions than reported sales reported by the Denver MLS recently. Price reductions become more frequent when Sellers have an exaggerated value of their property and fewer buyers are in the market to compete for that property. Also, expired listings have spiked lately. Listings expire when they fail to sell during the listing contract. Some listing will always expire if they are overpriced or needing improvements to condition. 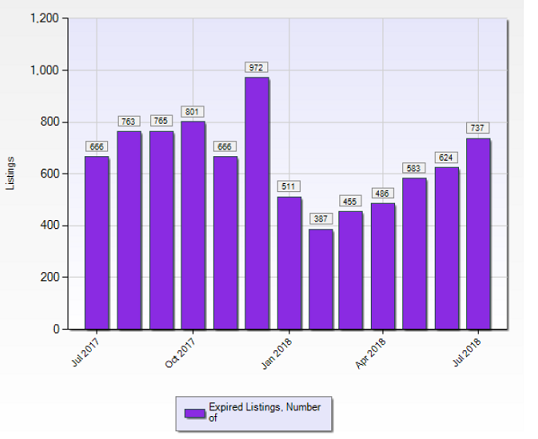 But, this uptick in expired lists may be another indication of a lowing Denver real estate market. 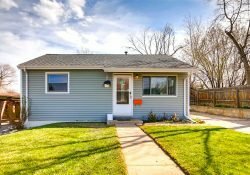 The Denver real estate market has slowed down noticeably. But, there’s nothing to suggest that this is more than the usual “summer doldrums” for the market. What may be different is that the slowdown came earlier than last year and the year before. However, the timing is not very different from the normal years before that. Buyers and Sellers could be headed to a more balanced market if Denver homes sales continue to fall. And, that could be a healthy adjustment from a “Super-Hot Market” to just a good one.